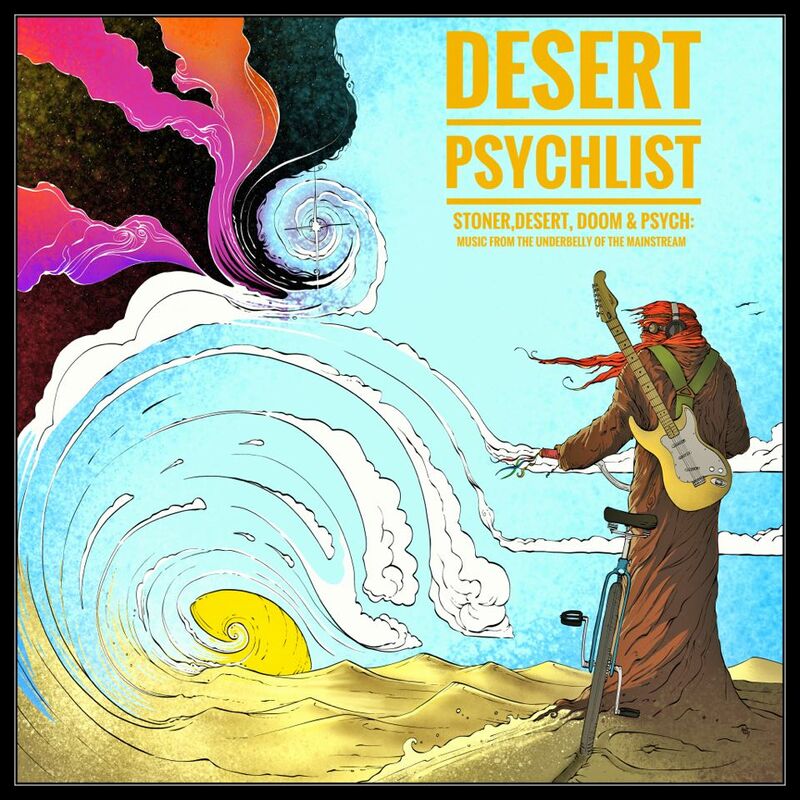 Desert Psychlist recently read a post on one of the web's social media pages bemoaning the state of today's underground music scene and the lack of innovative bands coming through, whether by coincidence or divine intervention after finishing reading said post Desert Psychlist then received an email from a Rouen based French band, Stoned Therapists, pointing us in the direction of their very innovative self-titled debut album "Stoned Therapists". 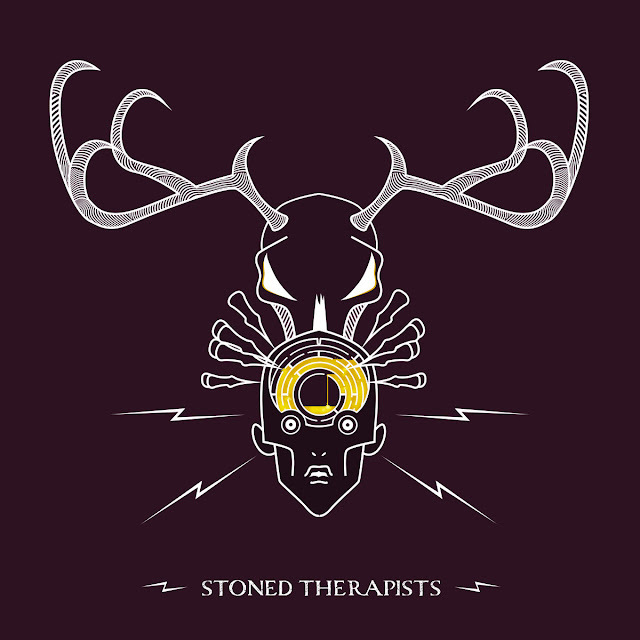 Vincent "Jeed" Eloy (guitar/vocals), Hadrianne Morisse (vocals), Quentin Delisle (drums) and Simon Debeerst (bass) are Stoned Therapists a band who describe their particular brand of riff'n'roll as "stoner art rock" a quirky blend of raucous riffage and left of centre grooves overlaid with a mix of distinctive clean lead vocals and off kilter harmonies. That word "off-kilter" is the perfect description for the grooves Stoned Therapists bring to the table as there is something wonderfully "wonky" about the eight songs that make up "Stoned Therapists", a "wonkiness" that permeates every note, drumbeat, vocal inflection and riff of the albums songs. For some unfathomable reason it is this "wonkiness", and the bands willingness not to rely on tired rock clichés, that makes songs with titles like "Inside A Victim's Head", "Sweet Maggie Pie" and "A World of Alternatives" work and make this album such a joy to listen to from start to finish. It could be argued that off centre quirkiness mixed with a swathes of fuzzed out riffage is not something especially innovative or even new and that Josh Homme has built a career around this very concept with both QOTSA and his Desert Sessions, and that would be a very valid point. However where Homme and his cohorts, over the course of an albums length, may fire off arrows that hit their targets only occasionally Stoned Therapists on the other hand,,with "Stoned Therapists", manage to hit the bulls eye again and again and again!